Some of the many substances found in foods are neurotransmitters (NT), including acetylcholine, glutamate, GABA, dopamine, serotonin and histamine. Not only are these neurotransmitters part of the food itself, but they may be added or changed by ripening, processing, preserving, cooking, etc. 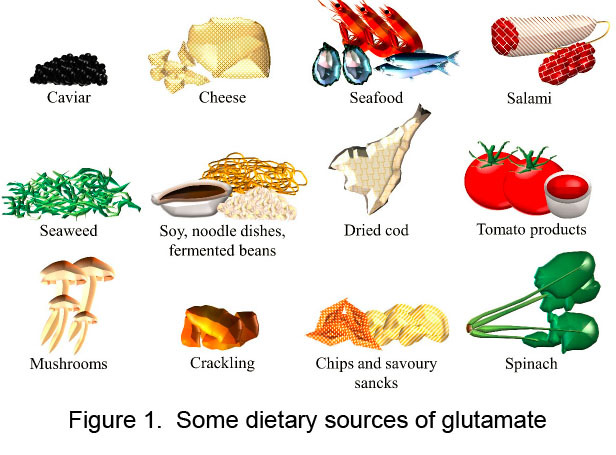 In the paper, he discusses what is known about sources of monosodium glutamate as the “most important excitatory NT in the brain,” as well as the dietary sources of the others. Basically, Briguglio writes is that nobody really knows very much about the connection of Tourette’s Syndrome and diet and more research needs to be done. This entry was posted in 2016-2020, Research Studies, Review, Editorial or Speech, Tics, Tourette's Syndrome. Bookmark the permalink.